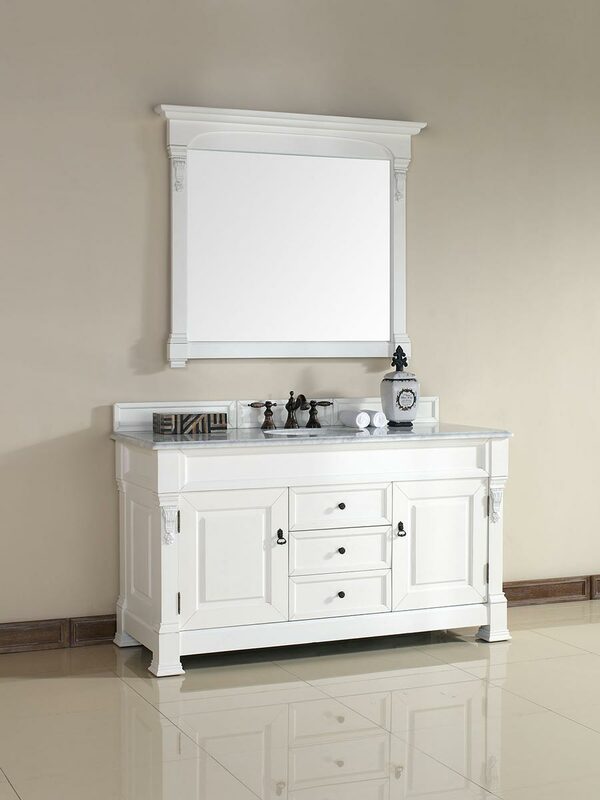 Classy and sophisticated, the 60" Peruga Single Bath Vanity - Cottage features cottage finish with a charming old-world feel. 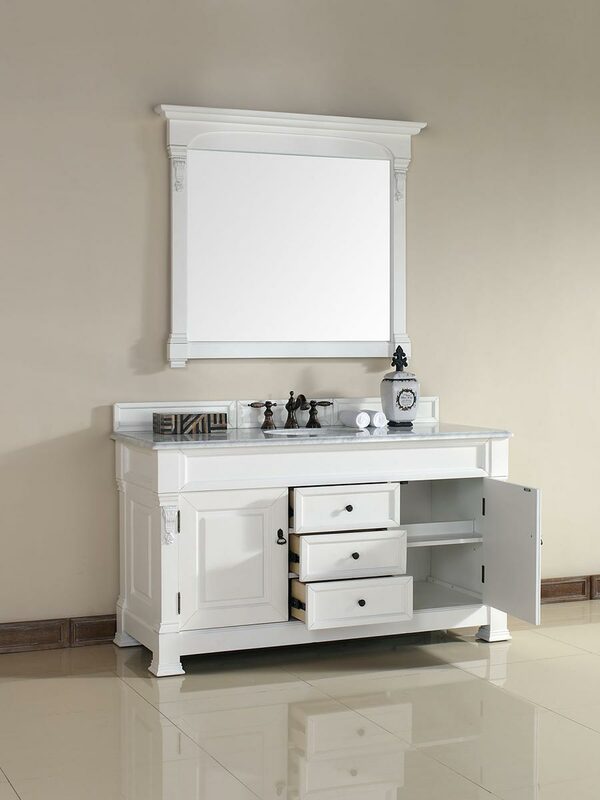 Three drawers and a one-door cabinet on each side provide ample storage space while antique style handles complete the look. Your vanity will arrive with pre-attached wooden risers allowing you to fit it with a 4 cm height counter top. If you prefer a 2 cm height top, simply remove the wooden risers. 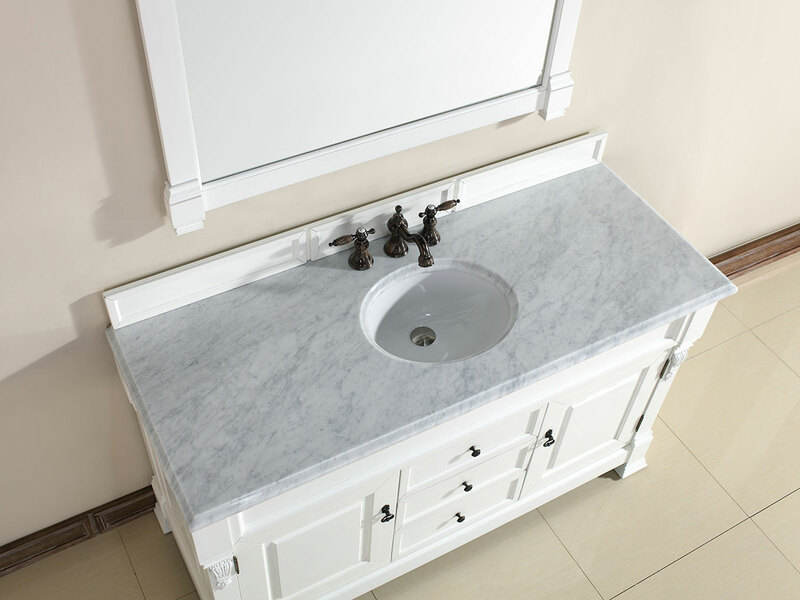 Many beautiful countertop options are available to choose from including marble, granite, and travertine. 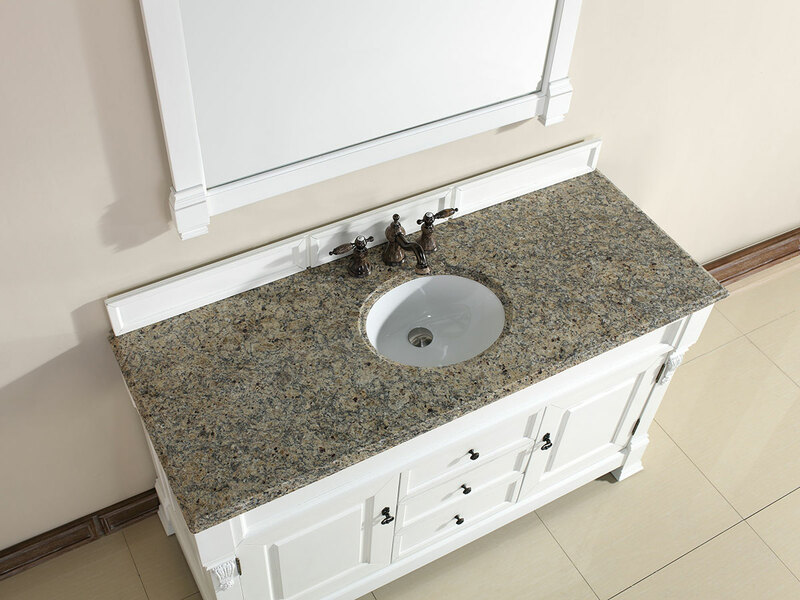 Countertops come with porcelain undermount sinks. 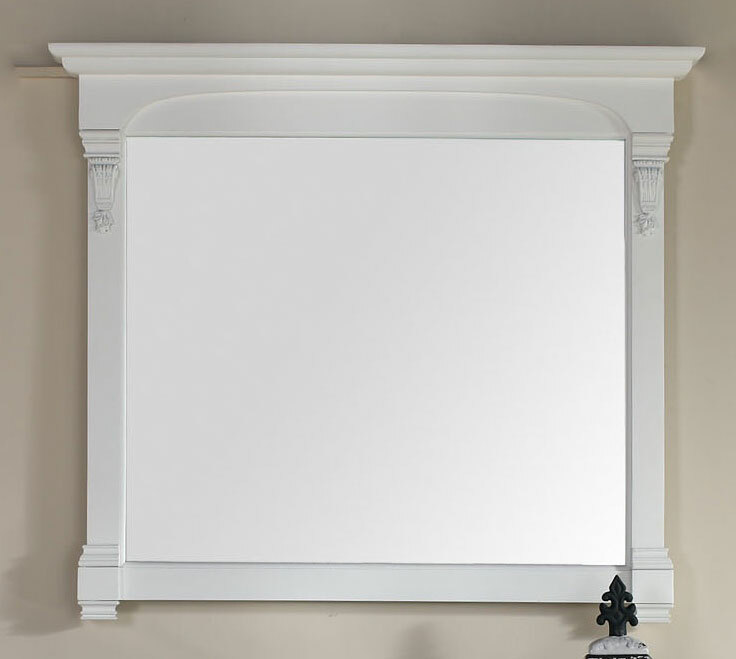 Matching mirrors and linen cabinet available. 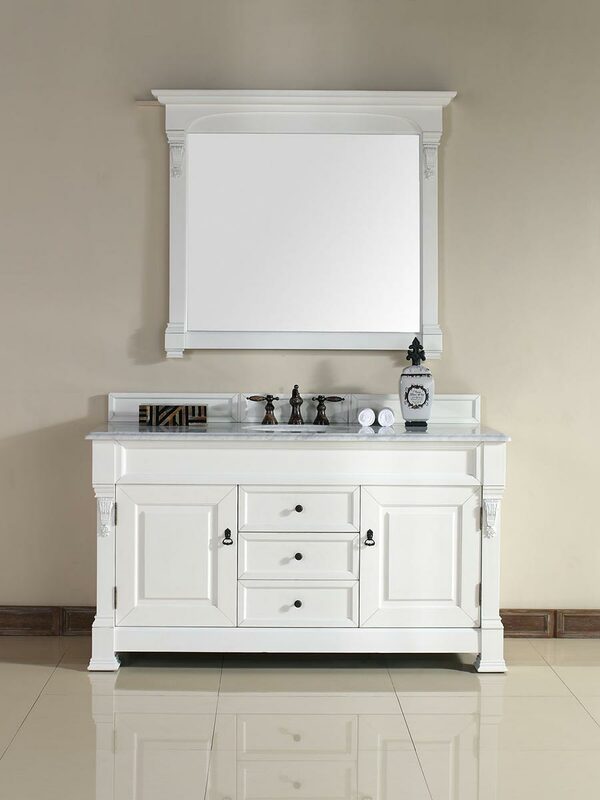 Three drawers and a one-door cabinet on each side provide ample storage space while antique style handles complete the look. 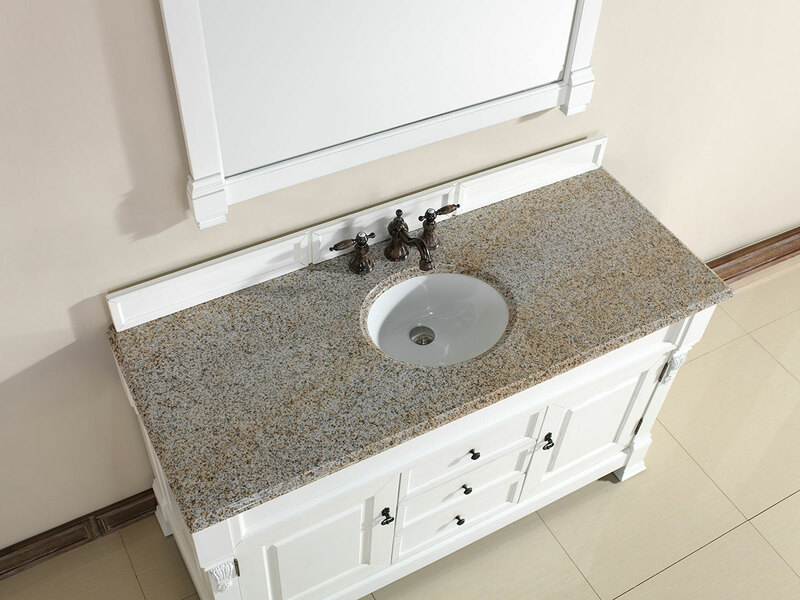 Your vanity will arrive with pre-attached wooden risers allowing you to fit it with a 4 cm height counter top. If you prefer a 2 cm height top, simply remove the wooden risers. Many beautiful countertop options are available to choose from including marble, granite, and travertine. 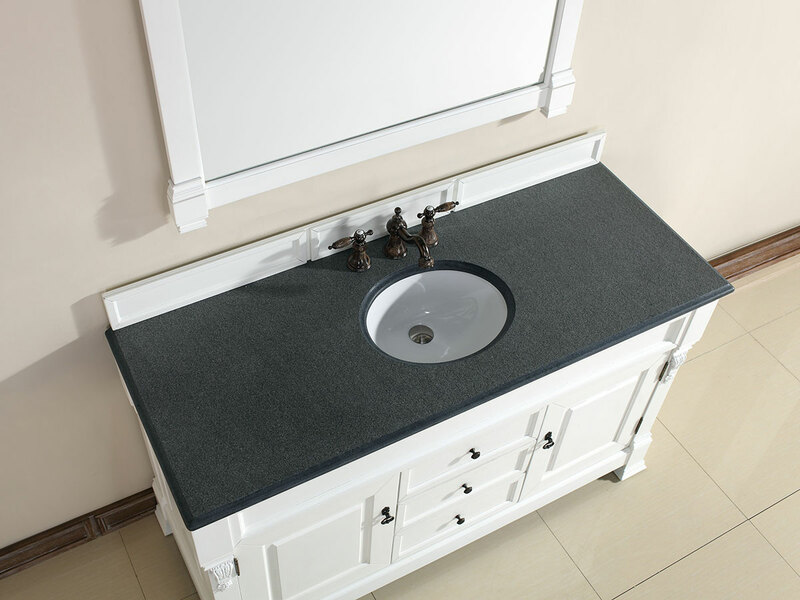 Countertops come with porcelain undermount sinks. 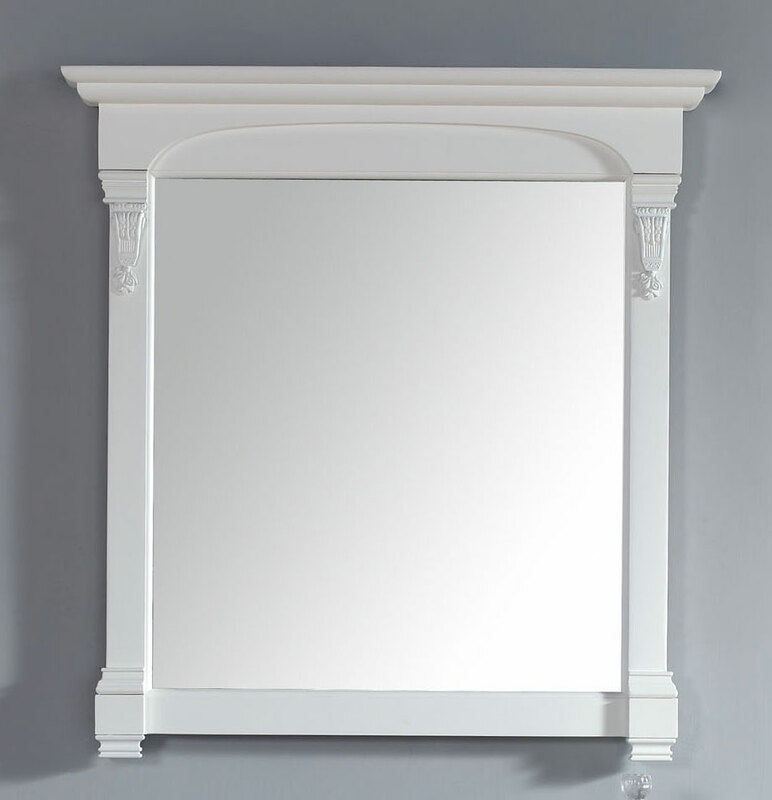 Matching mirrors and linen cabinet available.